The Galloway Hoard is the richest and most varied collection of rare and exotic Viking-age objects ever found in Britain and Ireland. It is internationally significant, containing silver, gold and jewelled treasure from Ireland, the Anglo-Saxon world, the Holy Roman and Byzantine Empires, and beyond. Some of the objects have never before been discovered in the UK, some only in hoards from outside Scotland, and several seem to be unique survivals. As well as precious metals and unusual gemstones a range of organic materials have survived, including wood, leather, linen, wool and Scotland’s earliest examples of silk, originating thousands of miles to the east. These archaeological treasures rarely survive, but open up fresh perspectives for considering an exceptional range of international connections which this magnificent collection testifies to. 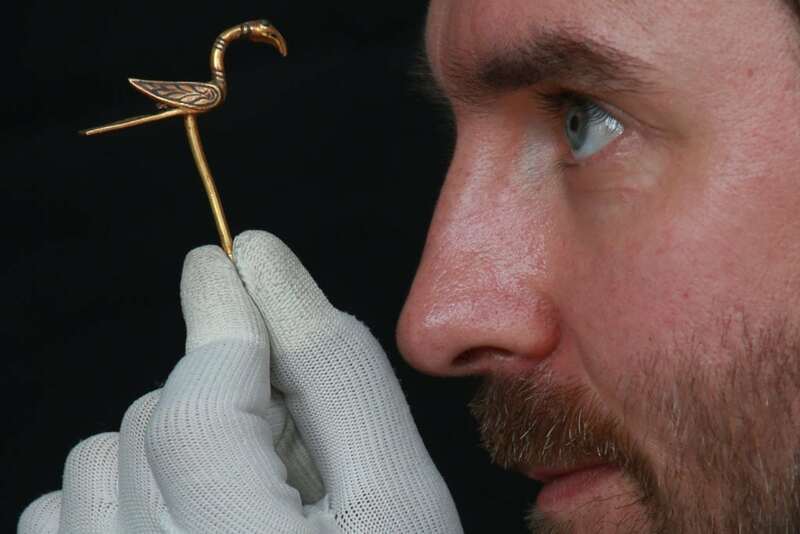 The Galloway Hoard brings together a stunning variety of objects in one discovery, hinting at hitherto unknown connections between people across Europe and perhaps further afield. Martin spent 10 years as a field archaeologist and heritage consultant in both the U.S.A, and on projects across Britain. He has been the project curator for the Glenmorangie Research project since 2008 and has co-authored two books Early Medieval Scotland: Individuals, Communities and Ideas (2012) and Scotland’s Early Silver(2017), as well as co-curating the two exhibitions that were the main products of the NMS partnership with The Glenmorangie Company. He has also curated the 2013 exhibition Vikings: the untold story, and he co-curated the NMS Celts exhibition (developed in partnership with the British Museum 2015-16) and wrote several of the essays for the accompanying (2015) book.